A disingenuous media? The hell you say. That is a huge problem with respect to many issues in this country. Unfortunately, I'm not sure anything can be done about it as long ppl don't take a skeptical approach, and think for themselves. To you point about this specific issue, in a situation like Baltimore, or Chicago, when it's the same story day after day after day, is it really newsworthy any more. One guy I work with often brings up weekly Chicago murder numbers, and chuckles a bit. His chuckles are not, however, ones of happiness, they are more SMH sadness. There does come a point where ppl outside of the situation become numb. That's just human nature. Unfortunately the only thing we could do about the media would require more diligence on our part as a whole (the public), so I'm not optimistic. I wrote a little rant about it last year. Have you ever read the second amendment? Do you know why it was written? Please go right now and read it and you will understand why. 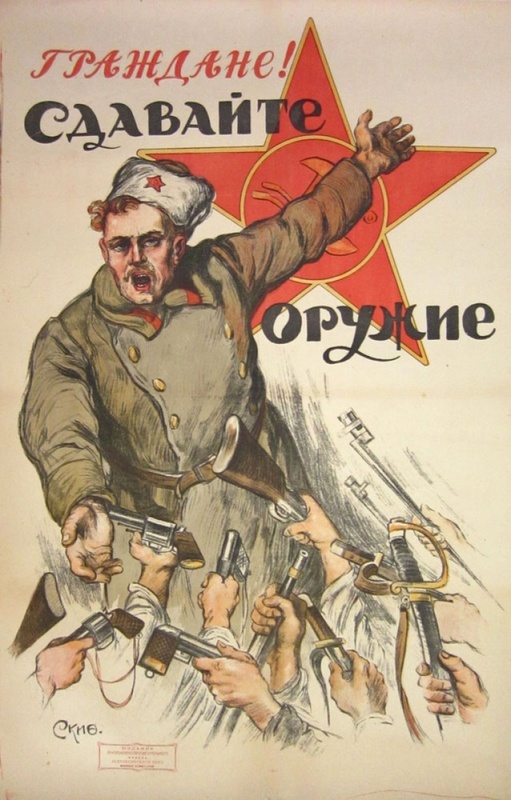 The Bolsheviks made Russians turn in their guns, before they slaughtered them by the millions. When someone in government is trying to disarm the population, one should ALWAYS be suspicious of it. ALWAYS. Personal skill is what produces accuracy. semi-automatic (self-loading) rifles are inherently less accurate than bolt action rifles. Part of this is because the action doesn't fit as precisely. Part is because the self-loading action introduces vibration into gunner's ability to aim it. In the final analysis, accuracy is a function the the individual shooter's skill, and the time s/he takes to aim at the target. The human factor is at least 80% of accuracy. Most semi-auto rifles shoot bullets that are only functionally accurate to 300 meters on the range, 100 meters in the field. Slow single shot bolt action rifles can shoot 800 meters on the range, maybe 500 in the field, but take many seconds to aim, work the action and set up the next shot. Again, individual skill is the deciding factor. I can cycle my pump-action shotgun faster than most semi-auto shotguns when I am duck hunting with friends. Again, the shooter's skill is the deciding factor. As a former law enforcement officer, who has been with people and tried to help them as they died, I can tell you that I never saw anyone die in less than 60 seconds from any attack, whether gun, knife, or baseball bat. The gun fatalities I tried to help each took at least 2 minutes to die. One took 10. An assassin's rifle is about the only thing that can promise "one shot-one kill." They are slow, and require a spotter to help set up the shot. They are almost never used in "killing sprees". They require superlative skill on the part of the individual shooter. The statistics show that any pistol less than .45 requires at least 2 shots to drop an assailant 60% of the time. That is, "drop them", in the sense of make them quit attacking you. It still takes minutes for them to die.